Are you an entrepreneur or small business owner in the organic industry? Many companies, regardless of industry and size, face the challenge of finding great talent. Naturally, you would like to hire employees that are qualified and add value, but ideally individuals who are also passionate about the organic industry and the products you offer. Unfortunately, not everyone is passionate or committed to a company’s mission and products. Here are some creative ways you can overcome that challenge to attract the right people for your company. Using popular online job boards and recruitment sites is a good start. You may attract candidates who are qualified for the function of the job, but you may not be attracting candidates who are committed to the organic industry. Below are some other approaches. Definitely reach out to those in your personal network. They may know someone. Or they may know someone who knows someone. The good thing about utilizing your network is that your friends, former colleagues and peers can help spread the word and look out for your best interest. Chances are they know you on a personal level and know how you operate and what you need on a professional level. Depending on what jobs you are looking to fulfill, you may be able to hire talented individuals who can work remotely from home, such as sales people, graphic designers, or techies. This would be an attractive job benefit for the employee as well. So if you face a talent shortage where you are, it’s not the end of the world. Look for help elsewhere if you can. Which brings us to the next approach. Seek out candidates based on where they hangout as a community. On social media you can join various organic-focused groups and forums. These groups are on LinkedIn, Google+ and Facebook to name a few. Join them and engage in the discussions. Let people get to know you, your business, and your opportunities. This not only gives your business free marketing exposure but it could also attract active and passive candidates and ultimately generate new customers. Trade shows can sometimes be expensive if you want booth space. But admission may be free or minimal if you just want to walk and explore the trade show floor. Wearing a company-branded shirt or hat is a great way to promote your brand and help you introduce yourself to other businesses and other visitors. Bring your business cards. Trade shows will inevitably have active and passive job seekers present. Networking at an event could lead to a new hire, new business partnerships and especially new customers. It’s also a great learning experience because you can see how other businesses, both large and small, market themselves. If you work near a local college or university it may be a great place to find eager interns or graduating students for entry-level opportunities. Speak with the advisor at the college’s career center. It is a great way to partner with a college and gain exposure to a younger audience especially if they are health conscious, interested in organic products, and want to learn more about the industry and the market you represent. This approach may not be for everyone. Some people may be wary of jeopardizing friendships if times at work get stressful. It really depends on who your friends are and your management style. If you have a friend that is equally passionate about organic products and supports what you are doing then they could be a good fit, especially if you know how they think and work. If you have already established a level of trust with them then this could be a good option. Your customers are loyal. They visit your site. They are passionate about organic like you are. They may love you so much that they wish they could work for you. A loyal customer could be your next employee. So don’t just have a link on the bottom of your web site like most companies. Call it out more prominently that you are hiring so that you attract active and passive visitors. Broadcasting the job opportunity also shows that you are growing. If you need short term assistance for your small business, then hiring a part-time freelancer on an hourly basis or project basis is a great option. For instance, you may need help with your website, marketing, social media, graphic design or blogging. There are freelance sites that allow you to post your opportunity, disclose your budget, and select a freelancer based on his/her experience, rating and portfolio. SimplyCareer.com has a great listing of popular Freelance Job Sites. Jobganic.com is a unique niche job board and recruitment site that serves the Organic industry, which includes organic companies and also job seekers who want to work in the industry. 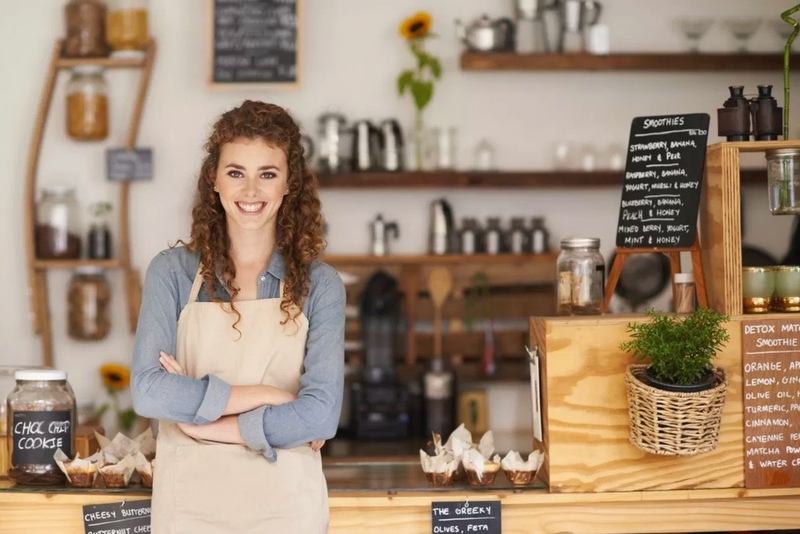 Large companies and small businesses use Jobganic as a recruitment tool to attract new employees and as a marketing tool to ultimately attract new customers. What’s great is that Jobganic allows organic small businesses to post job opportunities for free. These are some ways a small business in the organic industry can attract and hire talent. If you have some ideas of your own, then please share them with us. We’d love to know!